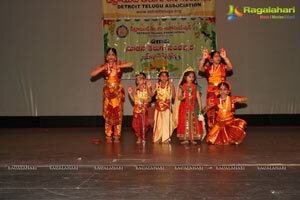 Detroit Telugu Association (DTA) celebrated 2012 Ugadi Celebrations on April 14th, 2012 at Troy HS in a Grand and Pompous style. 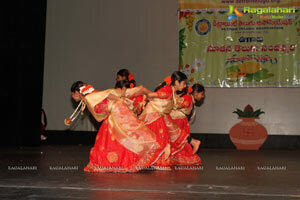 2012 DTA Ugadi Event broke all the previous records in terms of Attendance, Food Quality, Membership renewals and Entertainment. 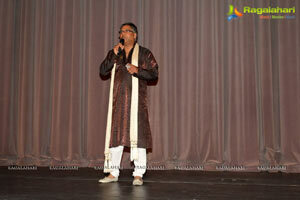 The auditorium was full with standing crowds all thru' from 6:00pm till midnight. 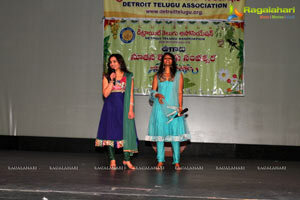 The program lineup was packed back to back and every participant got a due share on DTA stage. 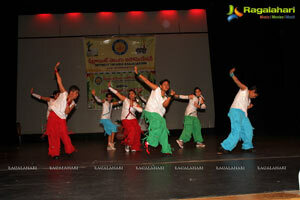 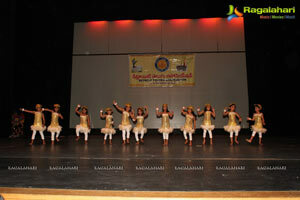 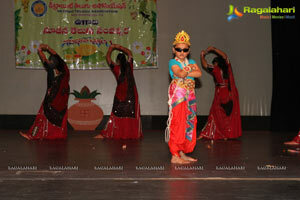 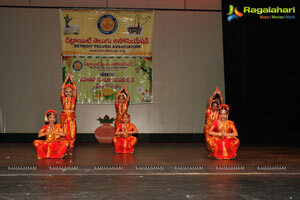 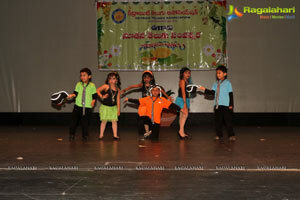 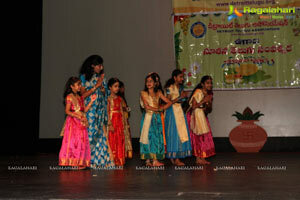 There were total 187 local kids who participated for the 2012 DTA Ugadi Celebrations. 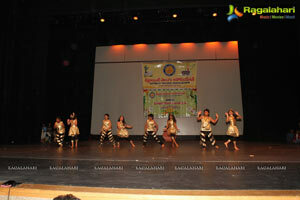 2012 Ugadi Celebrations started in a traditional way of "Panchanga Shravanam" by local priest Shri Janaki Rama Shastry. 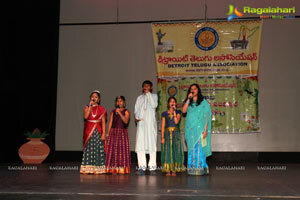 Venkat Aekka, President, Detroit Telugu Association (DTA) kicked off the event with a welcome message and Srinivas Raju, cultural secretary anchored the event flawlessly till the end. 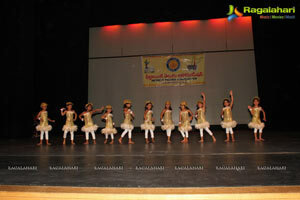 It was unique to see many DTA member families themselves choreographing songs with high quality dances. 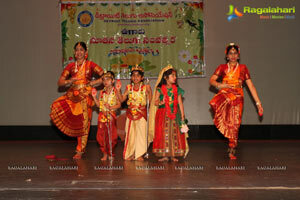 Local dances were interlaced with prime time events of excellent mimicry by Jitendra and "knowing Sonia" interview with Telugu film actress Sonia ("Happy Days" & "Dhookudu" fame) on stage. 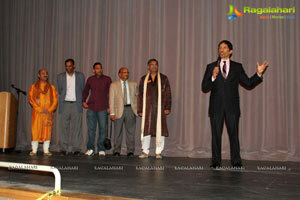 Detroit Congressman Hansen Clarke blessed the occasion with an encouraging speech to Detroit Telugu Community and his plans to represent and address immigrants' issues in Washington DC. 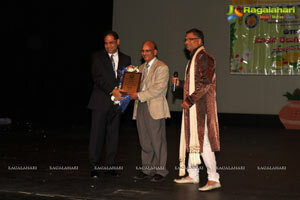 Venkat Aekka presented "Telugu Tejam" awards to Dr. Hanumaiah Bandla for his prolonged contributions to Telugu Community as DTA / TANA president and always being an emissary of Telugu Culture in North America. 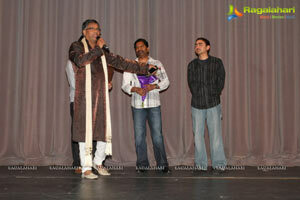 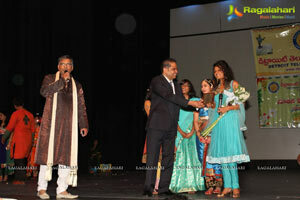 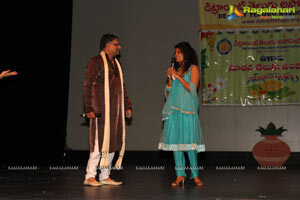 Shri Ravi Vallabhaneni, 2012 Nandi Award Winner as producer of Telugu movie "Prasthanam", was felicitated on the stage. 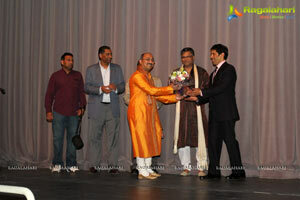 Similarly Shri Venugopal Pamidi Prabhuji, M. Tech. 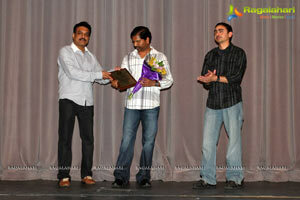 for embracing spiritual lifestyle to revive Krishna consciousness (ISKCON) among local Telugu families after resigning his job as an Engineer in Ford Motor Company. 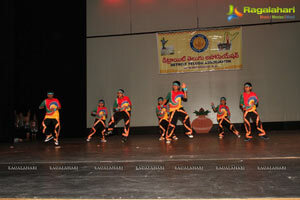 Another highlight of the Ugadi Celebrations was presentation TANA TEAM Square (TEAM²-TANA Emergency Assistance Management Team) by the chairperson Shri Anjaiah Chowdhary Lavu garu. 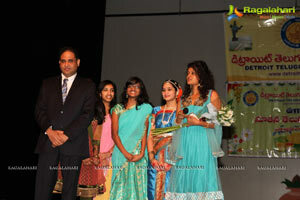 His message was captivating about TEAM square contributions and plans of developing proactive safety measures among Telugus in North America. 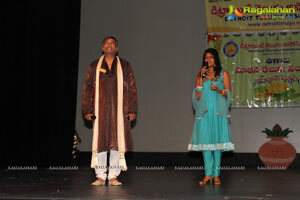 Ugadi Celebrations dinner by Namaste Flavors rejuvenated dormant "Telugu" taste buds with superb dishes like Tomatoe Pappu, Gutti Vankaya along with "Ugadi Pachadi". 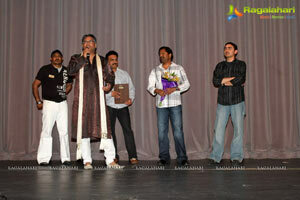 DTA got many accolades for the quality of food. 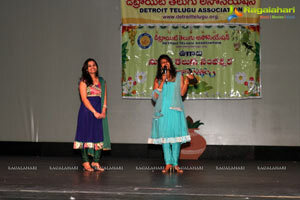 Though brief, DTA Celebrations ended with a Live Orchestra by Shilpa/Deepika sisters, Praveen Jaligama, Ravichandra Tokala and Venkat Aekka. 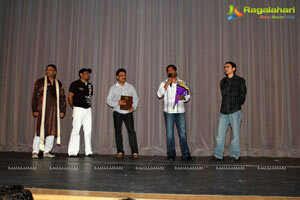 DTA Executive Committee whole heartedly thanks all the member volunteers who helped in cafeteria, back stage and at the front desk. 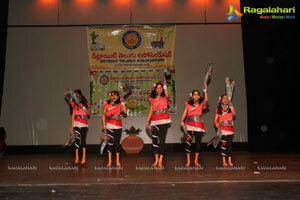 Similarly DTA youth committee played key role with event logistics and cafeteria. 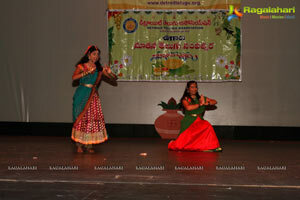 Likewise DTA thanks all sponsors who supported the Ugadi event. 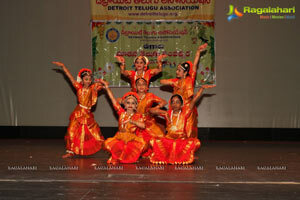 In summary, it was a heavily attended & successful Ugadi Celebrations for Detroit Telugu Community and remains in the annals of DTA history.